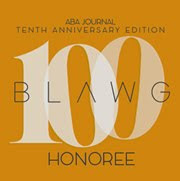 ... grant a steady stream of individual pardons and commutations of sentence, every month, just like most presidents have done, throughout most of our nation's history. How does the President compare on this front? A four-year presidential term covers all, or part, of 49 months. Below, the reader can see the number of months where at least one person was granted clemency over the last 20 presidential terms. If the chart went further back in time (to the left), almost every administration would look like that of President Truman's first complete term. 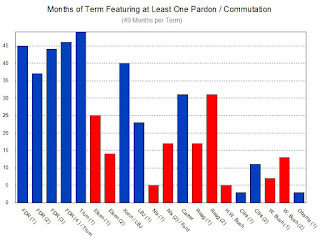 Every month of the terms featured at least one pardon or commutation of sentence - thus, FDR's second term was freakishly low, by historical standards, to that point. Pardons and commutations of sentence were not so much "incidents" as they were a regular feature of a system of checks and balances where the clear expectation was that the president would be an active participant in the approximation of justice. The Eisenhower administration was the first where clemency became something else, a less than part time interest. 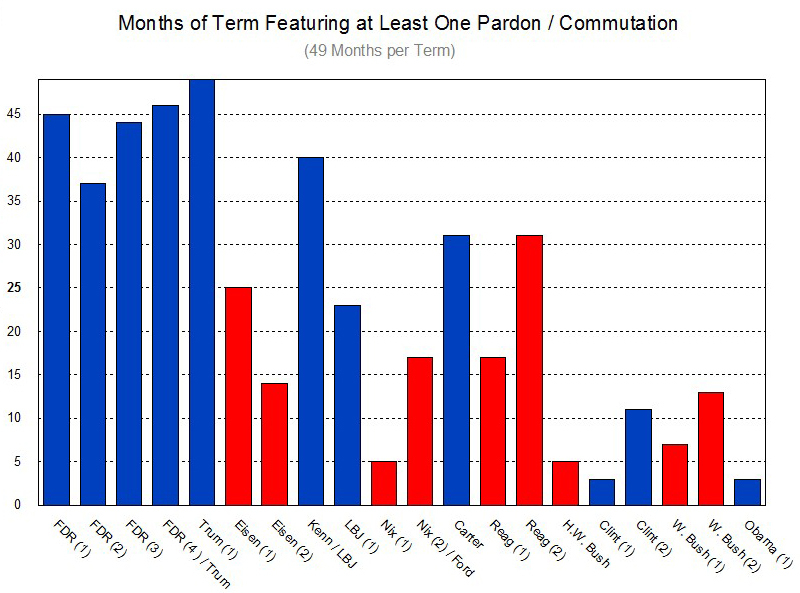 What happened in the Eisenhower administration that led to a decrease in the importance of / need for pardoning? Nothing. Nothing at all. Of course, crimes and convictions are a regular occurrence. The prison population has steadily risen for many years. A regular flow of persons complete sentences (in and out of prison), rehabilitate and attempt to integrate back into society, get jobs, become productive citizens. What doesn't happen with regularity? While ALL of this goes on, the pardon power sits on the side of the road, almost irrelevant, and, arguably, at a time when it should be more relevant than ever!